I had recently gone on a summer escapade with some friends to escape the summer heat and the general stress of our daily lives to have some fun, experience new things and hopefully, come back refreshed and energized to face our daily responsibilities. 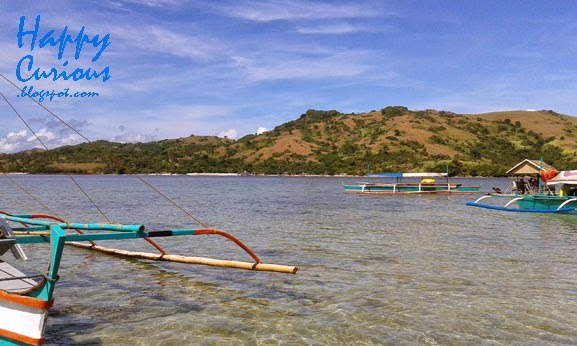 We visited several islands during our 2-days' stay and one of the islands we visited was actually the Manlawi Sandbar which was only visible during the day and gets lost in the high tides come evening. I thought we we're going to go ashore and just take pictures but this was a different experience altogether. 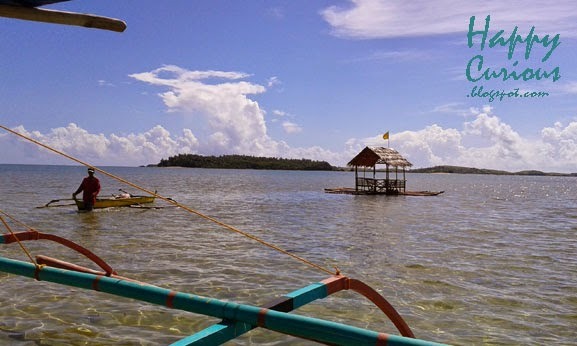 Before heading to the actual sandbar, we made a stop in an area near the sandbar where bamboo and nipa-roofed cottages we're anchored to the ocean floor. When I say ocean floor, I mean that in the morning, one can see the ocean floor and actually walk on it because the water then was only ankle deep. In the afternoon, the water becomes deeper as the tide becomes higher. This was part of the slope of the island and the highest part was the sandbar itself. We noticed that there were many small, deep holes on the sand as we explored the area. We assumed that they were the holes left by the materials used to anchor the cottages to one area. The cottages were roped to the anchor so that it moved about but only around the anchor. Because of this, we had a different view of the ocean and the island every few minutes as we sat under the shade of the cottage. 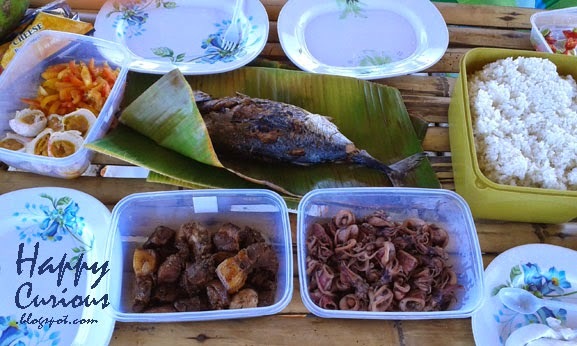 But this particular trip was memorable because of the food experience and the venue. I call it a "unique lunch for a unique bunch". Yes, me and this bunch of friends actually have different tastes when it comes to our choices of fun adventures, but we we're all satisfied with this particular adventure and this particular lunch buffet. There were only 4 of us, so this set looked like a buffet. Obviously, the unique venue for this lunch made the experience very enjoyable. The fresh ocean breeze as we went about devouring the food was very welcome while the moving cottage which slightly swayed with the ocean waves was very relaxing. Of course, eating with our hands, in our swimsuits, also made the whole setup very unique. Everything on the lunch table tasted very fresh and delicious. I actually enjoyed eating my portion of fish even if I had to look out for the little fish bones as I ate. Afterwards, the swaying of the cottage, the calming sound of the waves and the cool ocean breeze made me really sleepy. I'm sure I didn't eat my fill as I didn't want to be too full to swim after eating but the environment really made us wish we could just lie down and sleep and not have to go to another island. But this was an island-hopping adventure so after begging our boat men to let us stay for a couple more hours, we had to say our goodbye to the sandbar; not without taking our fill of pictures, of course!